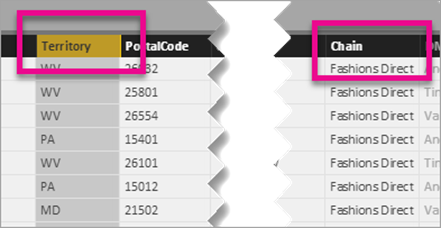 Filters can be added to the query string of a report UR using the following syntax. This is based on OData $filter syntax. Only a string compare is available using eq, however. Let’s assume that the URL to our report is the following. If we wanted to filter on a field called Territory in the Store table, our URL would now look like this. There are a couple of things to be aware of when using this. Table and field names are case sensitive. The value is not. The field does not need to be present in the Filters pane. It can be used on any table/field within the model. 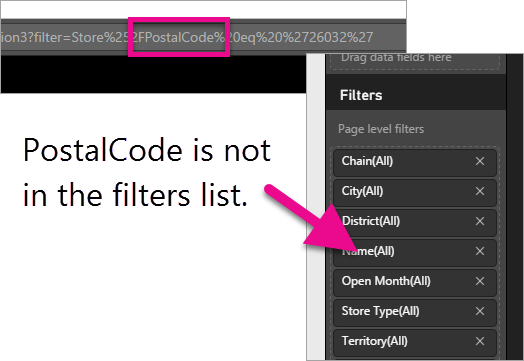 By default, you can only filter on a single field with the query string. 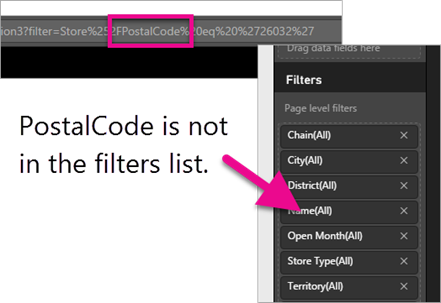 You may have situations where you want to filter on multiple fields. 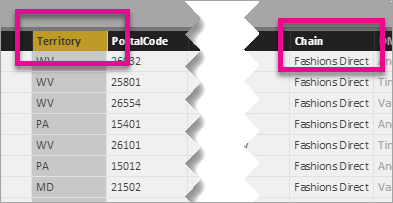 One way you could do this is by creating a calculated column that concatenates two fields to a single value. Then we could filter on that item. For example, say I have two fields called Territory and Chain. 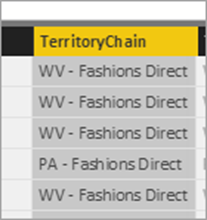 I can create a new Calculated column called TerritoryChain. Remember from above that I can’t have a space in the field name. It is ok for the value though. Here is the DAX formula for that column. When that is deployed to the Power BI Service, I will have a URL like the following. Say that we slice or filter our report, and then pin that visual to a dashboard. That slice, or filtering, isn’t saved with the report. So, when you select the tile, you will go into the report and not see it filtered the way the tile showed it. Enter the Custom URL of a tile! We can alter the URL of the tile with our filtered URL. 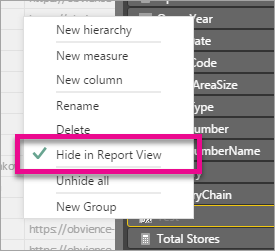 There may be some cases where this will be helpful from an end user experience when interacting between the dashboard and reports.